Ever since youtube first started, conspiracy videos have surfaced, and in the last years even become a trend. Some seek out these videos because they really like everything that appear exiting, others because they have a real fear of future events, and some seek them out to mock and ridicule. Although there are secret societies for sure, and a new world order is planned, there is great reason to worry over many of the videos (not all) that are trending. Some see an Illuminati worker in every celebrity. It is not taken into consideration that some just copy others. The seriousness of claiming someone is a devil worshiper or hired by the Illuminati without clear proof or confession, is that we risk breaking the ninth commandment. It says: «Thou shalt not bear false witness against thy neighbor.» (Exo.20:16) That includes famous people! Many are going far as to look at very few symbols and by it determine what this person does behind closed doors. It’s not for us to publish guess work. It’s better to not have made the accusation, or to make a general accusation, then to end up being in conflict with the ninth commandment. It should be clear that even though someone claim to be Christian doesn’t mean they know what someone famous is thinking, feeling or doing privately. If God wants us to expose something He will make sure we are able to tell if what they have done really have taken place. Saying someone ‘sacrificed’ a family member to become famous when there is absolutely no physical evidence to support it, is placing many Christian conspiracy theorists in conflict with God’s commandments. But there are secret societies, and that is not a secret. Obama and other state leaders have spoken of a new world order. That’s a fact. Some whistle-blowers, if they are to be trusted, say secret societies have been planning their world order for nearly 200 years. Some say even longer. It should come as no surprise to anyone that there are always some people who want to control others, that money is where the power is. And throughout time superpower after superpower, weather it’s Asia or Europe, have centralized money and power and tried to control their population by different laws constructed to fit the ideology of their time. Germany under World War 2 is a classic example. Today many shake their heads over the German population allowing Hitler to take control. It ended in a blood bath for minorities, for handicapped, gypsies and of course for the Jews. But that was all happening for the most part, out of sight of the general public who went on with their daily lives. You see there was a lot of optimism with the socialist party and Hitler. The economy had been bad since the first world war and Hitler established an economical situation that helped lift Germany out of all their unemployment crises. It helped students get scholarships and get an education they might not have gotten otherwise. People forget that with all the control and evil, there followed also what appeared to be many good benefits for the German people. And this is the reason for the love and support for their leader at the time. Hitler also gathered people (see video link under) by creating a common enemy. The same is happening today in many places. Even the States where the citizen are willing to give up on freedom as long as they get some benefits in return, or the hope of economical growth. Everyone needs to eat, and people in power can exploit this to benefit their agenda. So if they really have been planning for 200 years should not God’s people be in utter fear and peril? Can it even be stopped? Many are afraid when they watch videos related to the Illuminati and New World Order. But the Bible has a clear answer to give. The book of Revelation and the book of Genesis are full of parallels. One talks of Paradise lost, the other of Paradise restored. They both speak of one worshipper killing the other worshipper. The creation and the re-creation. Because of this we get a little insight in to the future. The book of Revelation talks about a power called ‘Babylon’ that are working with all the kings of the world. She sounds very powerful and are drunken of the blood of the saints. 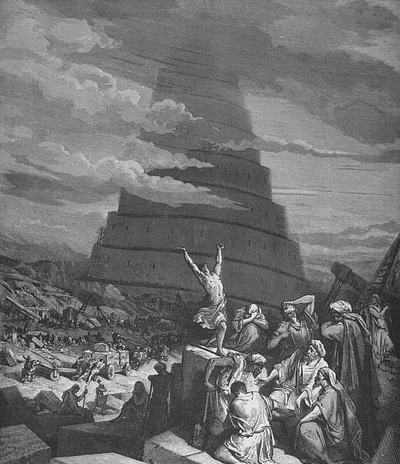 The parallel to Revelation’s Babylon is Genesis, the Tower of Babel. And the same happens to both, God destroys them in one day (Rev.18 & Genesis 11). God is clearly comparing the two like He does other things in Genesis and Revelation. And through this we know what will become of their plans. With the story of the tower of Babel we learn something that should make any Christian fear a New World Order less. You see, God allowed them to build the tower of Babel and the city for years. It was a great work that had taken a lot of their intellect, time and energy. They wanted to be ‘one’ and in control over the populated world. And God watched them build and build. And when they were nearly done and ready to harvest the fruit of their labour, utter global control, God hit the tower so it fell unto the grown. Many are accusing God for not destroying Satan the moment he showed sign of rebellion. They think that would have avoided all the evil. But He allows Satan to show his true intentions and his true face before He destroys him. Because God has allowed all men to show their true self and not always (he has sometimes) hindered them from doing evil, people will understand and agree with His judgement over them. But had He not allowed the devil and some people to show their intentions and actions, He could not have judged them and destroyed them without His righteousness being questioned for all time. To avoid sin to resurface again, people must know the consequence of sin. Or they will always wonder. Would the evil really have happened like God said it would have, or was God making it all up? If He had destroyed them beforehand, they would never have known. And the uncertainty would have remained. They had plans to prosper but all their plans went up in smoke. 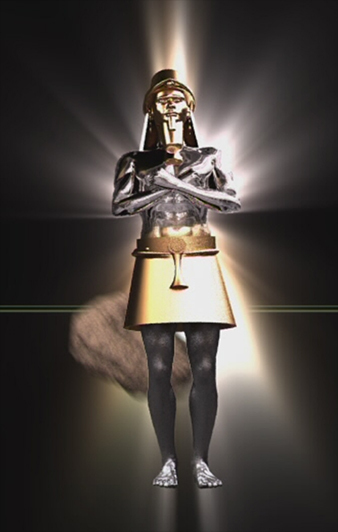 The prophetic statue that was shown to Daniel is truthful. One day God’s kingdom will come as a rock and destroy all these other kingdoms. But notice how the world will still be divided or weak at Christ second coming. The iron and clay are still mixed making the iron weak. We need not fear the Illuminati or the New World Order. In order to be prepared we need to spend our time getting closer to Christ. Our faith in Him must be stronger then our belief in a world order. Our fear of Him greater then the fear of men. As God’s messengers we are to proclaim the coming kingdom of Christ, not the coming kingdom of the Illuminati. When Peter looked at Christ he could walk on water. When his eyes started starring at the stormy waters underneath him he started to sink. (Matt.14: 28-31) We have to look at Jesus in these times. Let’s continue to lift Christ up before the eyes of men, so they see how powerful He is, and so that the powerful men on this earth appear weak and small in comparison. God hit the tower of Babel easily just when they were about to finish it, and He will destroy also the plans of the New World Order as soon as they have shown what they are capable of. This is illustrated by the rock hitting the feet of the Statue. ← Our film music ! Good article. Over a year ago I was inspired to pray “Father remove all fear of everything except You.” I’ve found it helpful to revisit that prayer as needed. Thank you for your comment!! Really appreciated. Yes, many are controlled by fear and as we know from the Bible: “There is no fear in love; but perfect love casteth out fear: because fear hath torment. He that feareth is not made perfect in love.” (1.Jn 4 :18) Love and fear will always be in conflict. Fear as no patience. It’s a bodily reaction that tells us to fight or flight. It acts in haste and irrationally, it makes enemies of friends, it create apathy and depression where “fight or flight” is not an option. It can easily take the place of the Holy Spirit, of Jesus, if we let it. So your prayer should be every believers prayer. 🙂 God bless.